Can you please tell us how you become involved in game development on the Amiga? I became involved in game development when my friend, Kevin Darbyshire got a copy of Amos, that was back in 1991 -1992. We just toyed with the functions at first, Kev got to know the language while I learned to sprite in DPaint IV. How long did Renegades take to finish? We started Renegades in 1993, and over the course of 2 years, and numerous total re-writes (due to the compilation problems) it became the game you see now. Did the final game alter significantly from the original designs? Ha! Yes, it did! We originally wanted a split screen co-op game with an optional deathmatch mode, but for some mysterious reason Amos Pro wouldn't compile the more complex features such as enemies, turrets and teleporters. We really did hit a wall, so we put together all we could and dropped what wouldn't work and compiled it. What features did you wish you could have included? Oh man, we had allsorts...but I really wished the enemies could've stayed in, at least then Amiga lovers could enjoy a solo game, but we tried this and again, it wouldn't compile, I guess we had pushed Amos Pro too hard. What are your fondest memories of working on the Amiga? 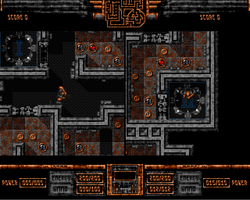 My fondest memories were the day I suggested a way to create a tiled map (up until then our little shooter game was a static screen, no scrolling and tiny sprites)...Kev went away and programmed it, it worked a treat. My other fond memory was when Kev got the guns to work and the players to bleed when shot, I think we must've spent hours running around laughing and shooting each other. What games influenced you at the time of making Renegades? Alien Breed Special Edition '92. Arguably the best game on the Amiga at that time. We were huge fans of it. Was Renegades your only Amiga / computer game? It was our only completed game, but there were several others that never got finished. Did you originally hope to release the game commercially and was there any interest from software publishers? We had hoped to go down the Shareware route, we hadn't approached anyone about it, but I had hoped to get a demo version on a coverdisk and then take orders as they came in. Are you still involved in developing computer games today? I am a part time freelance designer, I have been involved in a few P.C games, only a minor role. I think Kev still programs but I don't think he has worked on a game in years. How is the enhanced version of Renegades progressing? Why do you think the Amiga still has such a strong community after all these years? I think the Amiga was something else, a taste of what the future had to offer, with bedroom coders making their games and distributing them amongst friends which is something that has evolved here on the P.C. It was a powerful platform, with it's superstar developers like The Bitmap Brothers, Team 17 and of course the P.D scene. I think people felt they were a part of something special. The Amiga never died, they just stopped publishing magazines for the shops. AmigaPd would like to thank Wayne for kindly allowing the website to include his earlier version of Renegades and his time in answering the above questions. We look forward to seeing the updated version of Renegades over the coming months and are excited about the possibility of new features as well as graphic improvements. 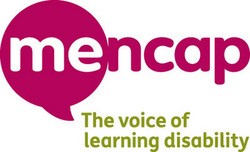 We hope you enjoyed reading the Wayne Ashworth's interview - remember AmigaPd is charityware - please visit our just giving page to support our chosen charity Mencap.